Who is responsible for learning? | Write about what? ← Teaching academic classes like sports? One of my friends mentions the local swim team as a possible activity for my children in the summer. For the first one it was a good fit. When younger he had taken a swim class, which due to the overlap with the beginning of school, had only two students. He had opportunity to practice frequently at a friend’s pools with encouragement from adults. When the second child was the same age, it was a different story. The initial swimming class had been over crowded and useless; the friend with a pool had moved away. It was fine to put the older child on a team with coaches. But the second one needed a swimming teacher. How many times have you overheard teacher discussing a class say the words “they should already know how to…” For students who just require coaching to learn, that is probably true. They have already been exposed to the many things that students are supposed to know by the time they get to school. They are familiar with the concepts of letters and reading, numbers and math, locations and maps. But for students who do not have easily accessible books, maps and calculators (let alone computers) these are foreign concepts. As the number of lower socio-economic status students increase in the country, so does the challenge of teaching. This is compounded by the lengthening of years required for education. Not too long ago in the last century, teachers had lower expectations of students coming to school. The teachers themselves were not as highly educated as today. Students stayed beyond sixth grade in if they liked learning and their parents could afford to not have them working. Parents and the children themselves where considered the ones responsible for knowing how much education was necessary. What happens when you reverse the relative importance of the parent and teachers in the success of the students? Will teachers be able to fill in the gaps? Teachers resist having the quality of their instruction quantified based on student achievement because they realize they cannot always successfully overcome the handicaps resulting from poverty or unstable family life. There is no one to make sure that students learn what “they should already know how to …” unless they are taught somewhere else than at school. Most students just need a lot more personalized in depth instruction and not just guidance along the way. The same class, with same teacher, will not suffice for both the student receiving an abundance of enrichment and support at home, and the one that has to struggle to find food. If we are honest and let parents know that they play the primary part in their child’s success in school, many will become more involved. 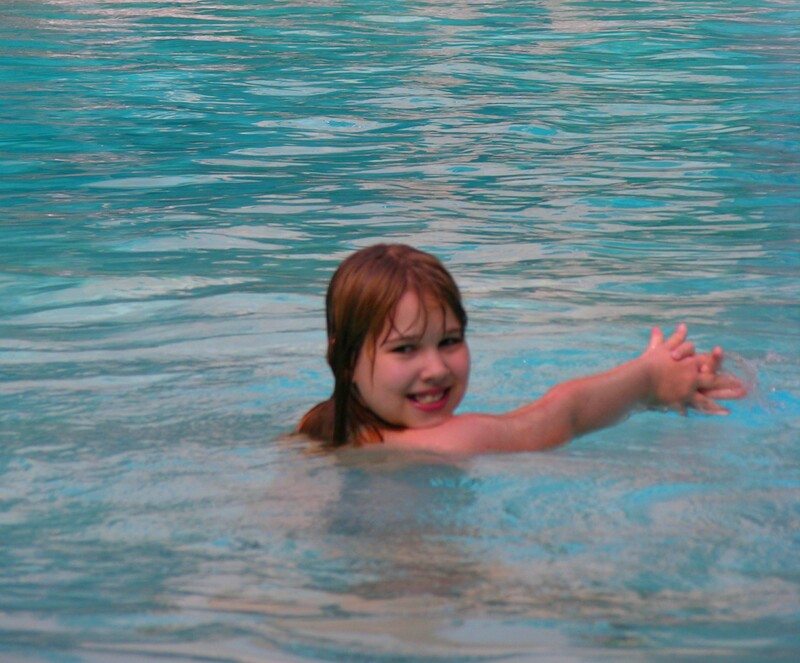 When my child took the swimming lessons, she had individual instruction; she was the only student. As unrealistic as that kind of one on one attention seems for schools, it is exactly what the parents provide that makes the difference in student achievement. “Those Persistent Gaps” by Paul E. Barton and Richard J. Coley Educational Leadership, December 2009/January 2010 (Health and learning Issue). This entry was posted in Educational trends and tagged coaching, parents role in education, poverty, problems in schools, socio economic status, teaching. Bookmark the permalink.